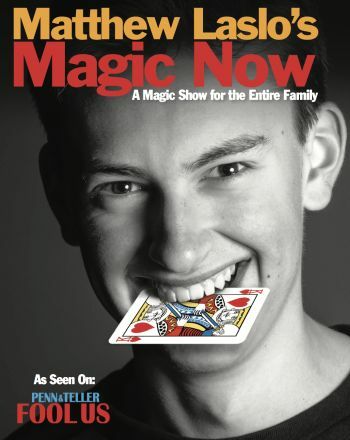 Matthew Laslo is a 17-year-old, rising young star in the magic world and an award-winning magician who performs both close-up and grand illusions that has thrilled audiences worldwide. He is an accomplished performer who brings a youthful, innovative approach to the art of magic. Laslo made his national television debut on CW network’s PENN & TELLER: FOOL US and impressed Penn & Teller with his originality and showmanship. Most recently, (Dec./Nov. 2017) he had the great honor to perform for China’s #1 television show, “The Amazing Magicians,” where he wowed 270 million viewers with his fresh & charismatic style.